Most vehicle owners fully service their vehicle every every 12,000 miles/12 months – whichever comes earlier. Servicing proactively maintains your vehicle, reduces the risk of a breakdown. Even at irregular intervals, servicing can still to help maintain your vehicle’s value. Why have a Service at Croft Auto Centre? From only £69 Croft Auto centre offers servicing, with parts matching the quality of the manufacturer’s original equipment plus a range of engine oils. Croft Auto Centre Service Technicians are specially qualified to use the latest electronic diagnostic equipment. Croft Auto Centre’s Service Schedule covers the majority of checks included in most manufacturers’ service schedules. Any service components fitted by Croft Auto Centre come with a 12 month guarantee. Croft Auto Centre’s are approved and regularly inspected by the Driver and Vehicle Standards Agency (DVSA). Many people believe that their driving does add carbon to the atmosphere. Now, you can do something to positively offset your carbon footprint – and save yourself money too. Croft Auto Centre provide expert servicing for all prestige cars including Mercedes, BMW, Mini, Audi, Volvo and more. Using the latest computer aided diagnostics; our technicians can quickly find any fault that your prestige car has, allowing us to conduct a repair using genuine parts at a fraction of the main dealer cost. Being based in Bromborough in the Wirral, allows Croft Auto Centre the opportunity to cover many surrounding areas including: Bebington, Rock Ferry, Eastham, Port Sunlight, New Ferry, Birkenhead, Little Sutton, Great Sutton, Ellesmere Port and Chester. Our wide range of knowledge and experience enables us to competently tackle all mechanical maintenance or repair jobs, giving you the customer confidence in our abilities. 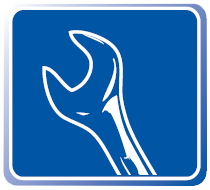 Vehicle servicing is available for all makes and models including diesel and petrol cars. We use only the latest technology along with genuine parts.